In For Your Eyes Only, a 1981 James Bond film starring Roger Moore, the villainous Kristatos sets up his secret headquarters in an abandoned monastery called St. Cyril's at the top of a steep, dangerous rock formation. Bond scales the side of the cliff, defeats Kristatos, and wins back the Ministry of Defense's ATAC Machine (a high tech transmitter that really just looks like a plastic cash register). As it turns out, St. Cyril's is a real monastery right outside Kalabaka, Greece. Its real name is Agios Stefanos, and it and five other mountaintop monasteries make up the second-biggest monastic complex in Greece, known as Meteora. 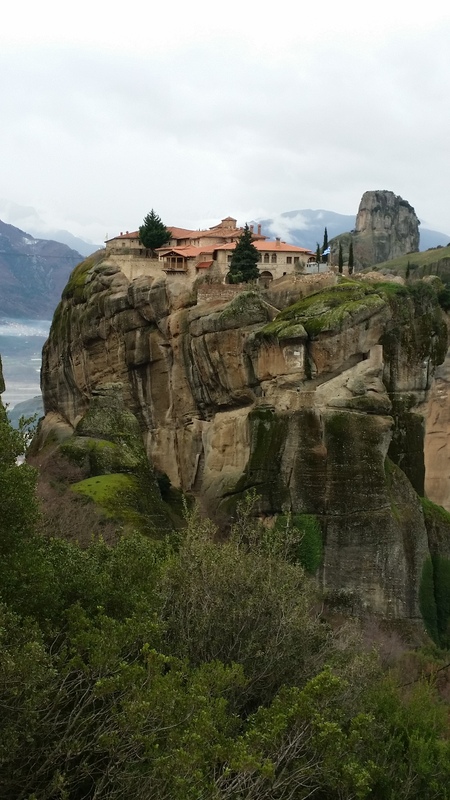 A week ago, I visited the Meteora monasteries to do research for my senior thesis. My trip was essentially the same as James Bond's, only with a little less stained glass-smashing and a little more note-taking. I was attacked by Kristatos' team of assassins RIGHT after this photo was taken. I promise. The six surviving Meteora monasteries were built between the 14th and 16th centuries, although monks had been living in caves in the rock formations for much longer. The churches in the monasteries are decorated with beautiful wall paintings, and several of the monasteries own impressive collections of sacred icons, relics, codices and documents. In the past, if someone wanted to see these collections, he or she would have to hike to the foot of one of the rocks and wait for the monks to pull him or her up in a net. Now, the monasteries are accessible by roads and staircases, and thousands of tourists visit year-round. 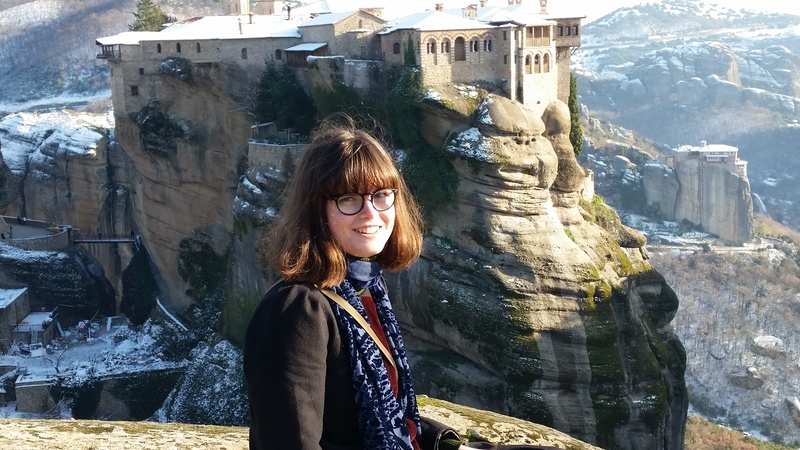 My thesis for the Department of Art and Archaeology is about the experience of tourists who visit the Meteora monasteries. I am comparing the experience of viewing Byzantine art in a monastery to viewing art in the more traditional environment of an American museum. Along the way, I am investigating issues of context, Christian pilgrimage and modern monasticism. The Monastery of Agia Triada. Of course, I couldn't write about the visitor experience without visiting the monasteries myself. Thankfully, I received full funding for my trip from the art and archaeology department and the Center for the Study of Religion. Additionally, the Seeger Center for Hellenic Studies helped me connect with the nuns currently living at one of the monasteries, so I was able to interview them while I was there. Even though senior theses are pieces of undergraduate research, Princeton is committed to giving you all the support it can so that your thesis becomes a piece of legitimate scholarship. That said, Princeton didn't have Sheena Easton serenade me with "For Your Eyes Only" as I stepped off the plane. I'll have to talk to someone about that. During my trip, I stayed in the small town of Kalabaka. 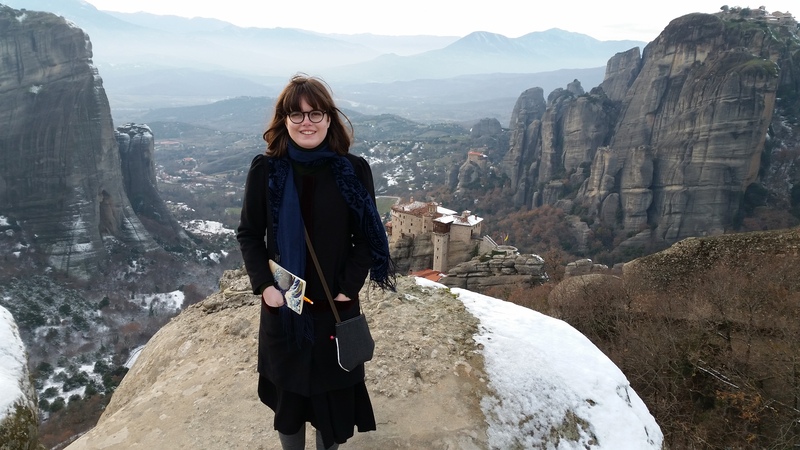 Every morning, I donned my full-length black skirt and turtleneck (that outfit got really old really fast) and took a taxi to the one of the monasteries. My daily quad workout consisted of climbing the hundreds of steps up to the top of the rock formation. Then, I walked around the monastery and took notes on every part of the monasteries that were open to the public, paying special attention to the display of icons and other Byzantine artifacts. While a lot of my time was spent with my face buried in a notebook, there were a few moments that took my breath away. 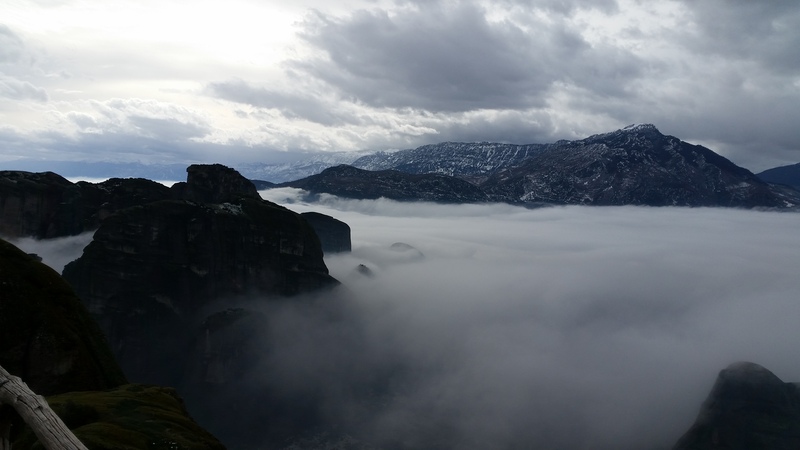 One morning, I hiked down from Meteora instead of taking a taxi. It was an incredibly foggy day, so I could not see more than my immediate surroundings. Suddenly, in the midst of a cluster of trees, I heard the monks from one of the monasteries chanting. Because the town and road were completely hidden by fog, I felt as though I had been transported back to the Middle Ages. For one moment, I experienced Meteora just as the original visitors would have, long, long ago. But, transcendent experiences aside, what were my scholarly takeaways from this trip to Greece? Those are for my thesis adviser's eyes only.